It’s a recurring discussion. Every time a major work is about to enter the public domain, debate flares up if and when it can be freely accessed. Due to differences in national copyright legislation it is often difficult to determine when copyright protection ends. In a time where access to knowledge is global, this leads to absurd situations. So is “Le Petit Prince” by Antoine de Saint-Exupéry in the public domain in most parts of the world but, due to an exception in copyright law, not in France. Researchers are mandated to deposit at least the final author version, which will be available in open access if possible. 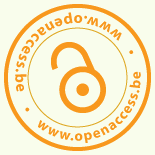 ICSU, of which Royal Academies for Science and the Arts of Belgium is a member, endorsed open access principles and provided key recommendations guarding against the misuse of metrics in the evaluation of research performance.